Experience the fastest sport on skates without setting foot on the ice. 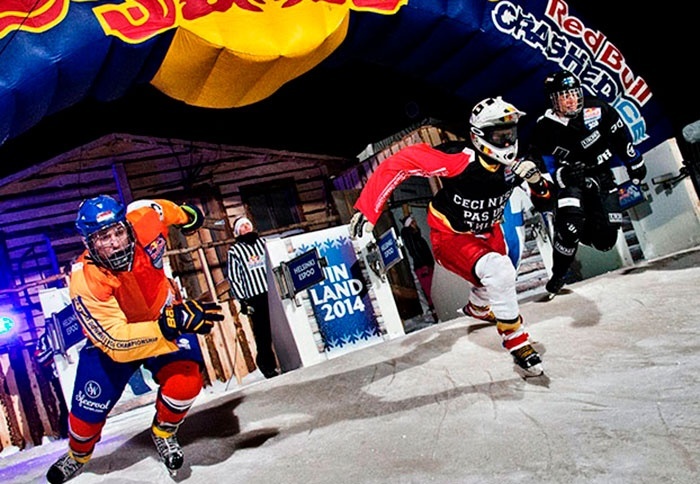 Ice cross downhill might be a relatively new sport, but the speed and thrills of Red Bull Crashed Ice have wowed audiences across Europe and North America. Before the December 7–8 season opener in Yokohama—the first ever in Asia—don a virtual-reality headset and see what it feels like to fly down a frozen track upwards of 80kmh (50mph). Two lucky Members will win a pair of tickets to the event finals in Yokohama on December 8.